CNC refers to the process of cutting a material using a computer numerical control machine. The process of CNC machining interprets a 3D CAD models then translates the data to the CNC machines. Computer Numerical Control (CNC) uses software that only integrates with specific machines. This means that a machine, once programmed, cannot be controlled with an open source or generic software. One of its main benefits is that CNC can produce parts to replace additive manufactured prototypes with the actual production grade materials hence allowing one to build parts in the featured material to be used in production. 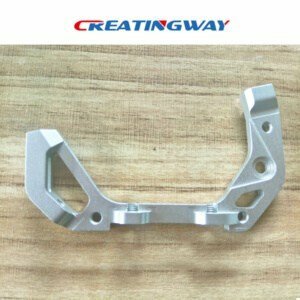 For rapid prototyping of high quality, material specific plastics and metals which require great degree of dimensional accuracy and critical surface finishes, CNC machining is always the best choice. CNC Prototype Manufacturing Services are used by engineers and product developers to manufacture products and prototype parts. CNC Machining is kind of a miniaturised manufacturing process whereby programmable, automated machine tools are used to manufacture plastic or metal part by removing materials from a pre-existing part or a raw material using a computer controlled turning, milling or grinding. Any materials whether ordered specifically by the client or sourced from the manufacturers’ inventory can be used to craft components. This popular part and prototype manufacturing process used in today’s manufacturing and engineering environment produces highly accurate parts and is ideal for creation of components that require greater precision, far greater than it would be possible with the manual manufacturing. CNC also provides the best solution in case multiple copies of the same parts are needed since the process can run thousands of times, virtually without any limitations and also for as long as the process may take. The CNC process offers enormous possibilities whether milling, grinding, turning or machining resulting in very accurate parts with fine details. In case one requires a plastic model or part or even multiple duplicates of a complex 3D metal, CNC really comes in handy. Many CNC machines are also equipped with a wide variety of tooling types for more complex parts requiring tools for drilling, cutting and lathe among others. CNC can machine almost all engineering materials including metals, plastics, alloys, peek, nylon, and foams or tooling boards. CNC machining can be applied widely in areas such as CNC Milling, CNC turning, surface grinding, surface finishing, EDM wire and spark erosion, welding, anodizing, powder coating, prototyping, production parts among other processes which require high precision and accuracy. It also offers finishing options such as hand polishing, sandblasting, painting and RFI shielding in order to improve the aesthetic and mechanical properties of your equipment. CNC Milling ensures that the surface finish matches exactly the 2D or 3D design without any variation and with high standard of accuracy, surface finish and the preferred gloss. CNC Lathe manufacturing enables the high quality turning necessary for the internal bores and external geometries to be generated. EDM Service on the other hand creates an electric spark with an electrode spark in any conductor. Its application is usually in undercut, plastic molds and complex key points among others. 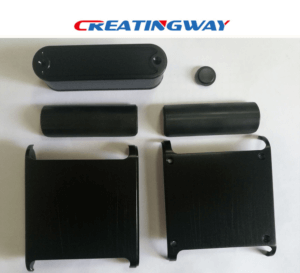 CNC Prototype Manufacturing Services are also used in the manufacture of production parts, large display models; panelling, large functional prototypes and also large quality inspection fixtures just to mention a few. manufacturing time ensuring that things happen fast with high accuracy and precision. CNC machining enables one to cautiously maximize machine runs so as to minimize waste, reduce material loss and maximize profit. It can also support production at an unrivalled speed making it easy to create multiple identical copies with the highest standards using cutting edge software plus the right equipment making it ideal for repeat use master patterns and also other equipment which require critical accuracy. CNC machining is one of the fastest and most accurate ways of making your designs into a reality. CNC prototyping has become more user friendly and powerful and with its ability to handle wide range of materials, ability to hold tight tolerances and the ability to print simple or complex 3D design models, it offers the best alternative whether for production parts or rapid prototypes whether you want them made quickly and in real stock material. CNC prototyping is particularly good for engineers and designers who work in the Research and Development Department.